I know Christmas is around the corner but people are already giving me gifts. Thanks to Lily Garden for giving me such a flowery award. See what I did there. It’s ok you don’t see it. I know I’m lame. Give two pieces of advice for new bloggers – Legitimate advice from a pro. 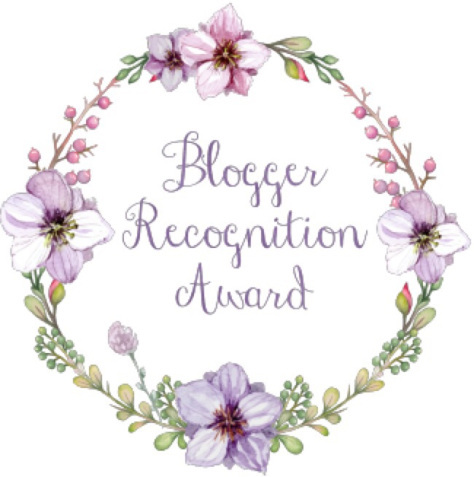 Select up to 15 other blogs you want to give the award to – I have no one else to give to. The rest most probably got it already. LETS GET THIS POST STARTED. It was a March 2015 when I was still serving mandatory military national service, when I stumbled upon a thought: “It’s kinda boring to just watch anime, how about writing it out on a regular basis? That would be cool.” Didn’t took long for me to join WordPress and here we are. Have to admit, it was hard at first, because of the lacking in resources and friends because you just kicked off your blog. First guy I met was Nick. I was just browsing Google and the “anime” tag on WordPress Reader and first thing I found was his massive blog. It was Anime Corps. I entered the site and everything was just amazing. Design was flawless, which kinda inspired my rather random once-in-a-blue-moon website design overhauls, to keep my blog fresh. I saw the link exchange section and decided to give it a go. Thankfully, he replied in a few hours and added my site in his site exchange list. That was when things starts to roll as viewers increased and friends start pouring in. And ta da, here I am with over 200+ followers and in absolutely authoritarian control of the anibloggers Skype and Discord groups. Activate the “Let search engine search you” function. Beside making friends like what I said above, let Google or whatever the search engine is index your site into their databases. Who knows? They might put you on the top of the search results list which works to your advantage. Be an entertainer. Entertain other humans with your out-of-the-box posts. This is the way people will come back for more and also create your own unique identity. Like me. People die reading my posts. Ok not really, maybe at least half dead. Sorry if I interrupted your precious study time. I’ll try to refrain from being too bothersome.